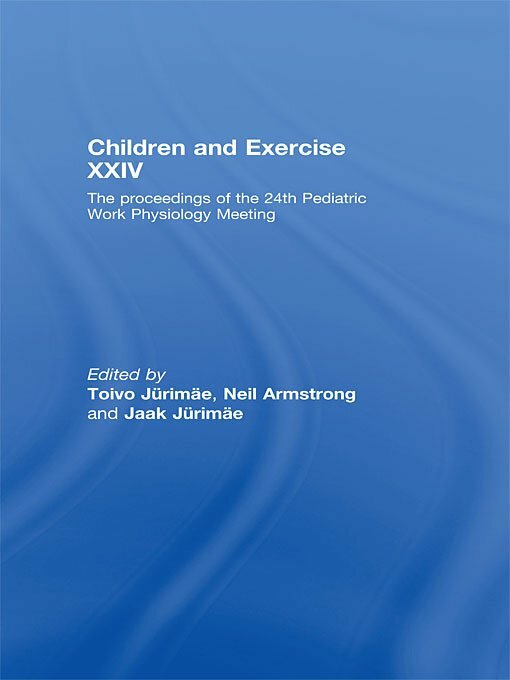 Offering critical reviews of current topics and reports of current and on-going research in paediatric health and exercise science, this is a key text for all researchers, teachers, health professionals and students with an interest in paediatric sport and exercise science, sports medicine and physical education. Toivo Jürimäe is Professor, and Chair of Sport Pedagogy at the Institute of Sport Pedagogy, University of Tartu, Estonia. Neil Armstrong is Professor of Paediatric Exercise Physiology and Director of the Children’s Health and Exercise Research Centre at Exeter University. He is also Deputy Vice-Chancellor of Exeter University. Jaak Jürimäe is Associate Professor in the Faculty of Exercise and Sport Sciences at the University of Tartu, Estonia. The overtraining syndrome: Are there clear markers? Does the positive effect of physical activity during childhood and adolescence on bone mass accrual persist into early adult life? Applying the new WHO child growth standards in Canada: What is our prevalence of obesity? Insulin resistance and cytokines in adolescence: Are weight status and exercise possible moderators?